Freshly baked and just arrived at the boutiques – a complete new affordable flap bag. Want to know more? V Lai bought this bag at Neiman Marcus a few days ago, here’s what she has shared: ‘I just found out this from Chanel site after I bought the bag from Neiman Marcus at Scottsdale. The size is small and light enough for me as my GST hurts my shoulder very much. The price is attractive compare to other Chanel flap too!’. The Chanel Gold Metal Flap Bag is somewhere between a WOC and a Medium Classic Flap Bag. You know, there are always days when you need a smaller bag, but an evening WOC is just too tiny. This has the perfect size. Crafted from durable calfskin and adorned with gold metal hardware, the bag is quilted and chic. It features a beautiful iconic CC logo on the front and its made with the comparable chain as the boy bags. Well if you haven’t heard it yet, Givenchy’s Fall 2016 Classic Bag Collection is the talk of the buzz in the fashion industry. Yes, this is one thing to look out for, especially to bag lovers out there. 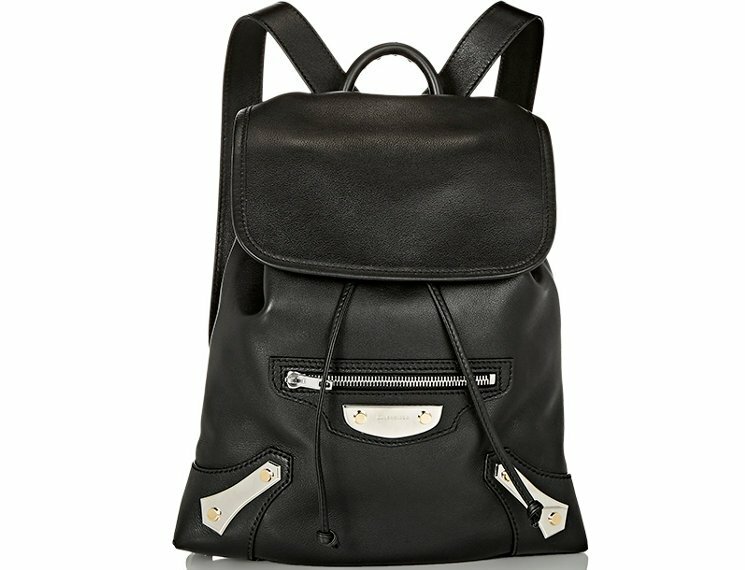 Let’s talk about the Nightingale Bag. This one has been a favorite style staple ever since it’s release in late 2006. Yes, it’s almost a decade old but due to its flare and modernity, it managed to live through its name. A classic and timeless Givenchy piece, this bag was named after Florence Nightingale. Its versatility due to the two handles and a detachable shoulder strap makes it easier for you to use it either over your shoulder or just wrap it around your hands. For the Fall 2016 Classic Bag Collection, the Nightingale Bag is seen to be bolder and up-to-date with the added metal crosses adorning it. We are loving this style since you can go from glamour chic to hard punk rakista in less than a second by pairing it with the right clothes and right amount of accessories. Another bag stunner is the classic Lucrezia Bag. It was introduced to the public three years back, last Spring 2013 to be exact. The Lucrezia dominated the hands of several celebrities such as Charlize Theron, Miranda Kerr and Amanda Seyfried to name a few. Its well-structured style has appealed not only to Hollywood superstars but also to other bag lovers out there. For the Fall 2016 Collection, we are seeing the Lucrezia bag reinvented. It has this happy-go-lucky vibe with the Givenchy Logo stamped leather. It makes us remember those childhood moments of ours in a good way. Balenciaga has decided to reinvent their Classic Motorcycle line by adorning their bags with shiny palladium plates on the front. Instead of their traditional lambskin leather, these bags are made of (hopefully more durable) shiny calfskin. They have an interesting contrast of smooth golden toned studs against the silver toned plates. So far they have the Classic Metal Plate City and Mini City available for purchase. I find it very interesting how they like to change up the hardware styles now. Mixing metal colors on a handbag is something very novel to me. What will they think of next? Wanting to add a little bit of a punk attitude to your style but not too sure if you have the courage to pull it? Well, don’t be scared as it takes baby steps until you get out of your style comfort zone and little by little you’ll be letting go of your fears. For starters, why not begin with a bag that has that tough feel-good attitude to it? Look no further as Balenciaga’s Metal Plate leather shoulder bag surely got you covered. This black leather bag is again the famous motorcycle bag but this time around it is in a shoulder bag version. It highlights all the label’s signature minutest detailing up to its contrasting feels with metals in both golden and silver-tone effects. It has the following features: made from genuine calf leather, has a detachable chain shoulder strap, a zipped front pocket, with snap-buttoned top, has fabric lining, front slot pocket, zipped coin compartment, two bill slot pockets, and has twelve card slots. It has the following dimensions: 13 x 21 x 3 cm (H x W x D), priced at $1110 USD or €945 euro via MyTheresa. Here at BragMyBag, we are just overwhelmed by the huge response made by our dear Chanel lovers (can we get a shoutout?). Yes ladies, we’re listening! That’s why today, we’ll be taking a closer look at another fan favorite, the Chanel Metal CC Signature Clutch Bag. We live to please y’all, bag lovers! Some weeks ago, we even got to feature this pretty stunner, so you might want to take a second look for more deets. Just click the link below and off you go! This edgy piece is beautifully embellished with metal CC signatures, making it an eye-catching (yet pretty wearable) piece that’s a joy to look at. Also, we must not forget the skin it is in – lambskin, to be exact, which gives it a wonderful texture and luxe feel. You know you’ve landed on a goldmine with this baby. With a style code of A94404, you can get your very own Metal CC Signature Clutch Bag via Chanel boutique. What are you waiting for? Get yours now!